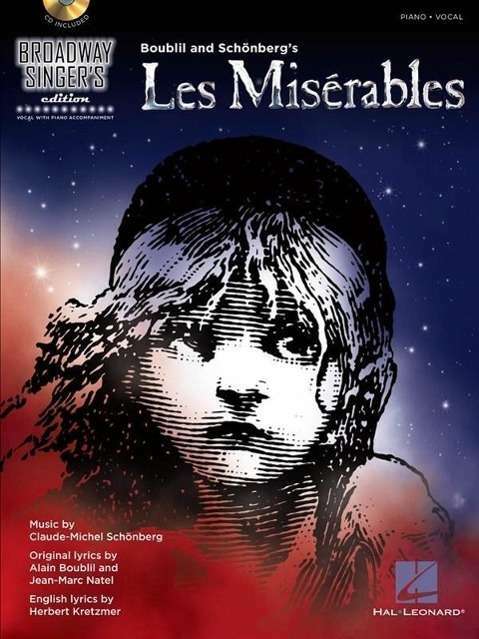 Der Artikel Alain Boublil: Les Miserables: Broadway Singer's Edition [With CD (Audio)] wurde in den Warenkorb gelegt. Ihr Warenkorb enthält nun 1 Artikel im Wert von EUR 21,94. Das Musical 'Les Miserables' arrangiert für Gesang und Klavier. Mit Gesangsstimme, Text und den Orchestereinsätzen in der Klavierbegleitung. Die Songs sind alle in der Originaltonart enthalten. Inhalt inklusive der Songs 'Do You Hear the People Sing? ', 'I Dreamed a Dream' und 'Bring Him Home'. 'The sheet music in this song book for Les Misérables includes the vocal line and lyrics paired with faithful reductions of the orchestral accompaniments. The songs, including 'Do You Hear the People Sing? ', 'I Dreamed a Dream' and 'Bring Him Home', are all presented in their original keys, with the Piano accompaniments carefully crafted for playability.